Win over the market dynamism, trade on Binance and trade DCR easily. No coding required. Decred has a very exciting roadmap for 2019, more reports can be released every day and price can move when you expect the least since Binance runs 24/7. A automatic trading systems support you to catch the best opportunities without missing a single trade. 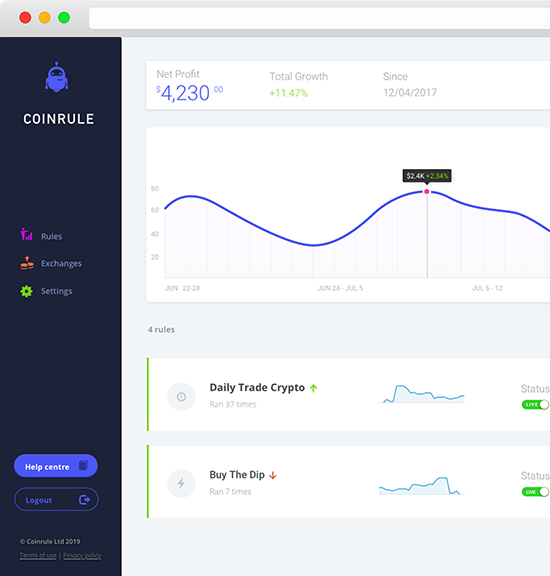 Create Bot with Coinrule now!